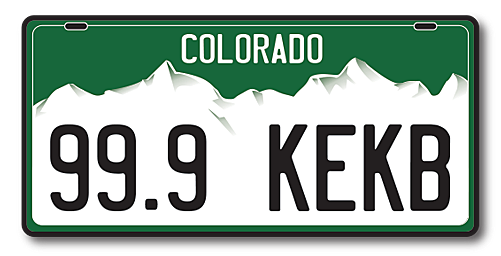 How Did These Colorado Towns Get Their Names? As you are driving, you might see a town or a street name that seems odd. You cannot make these names up. Have you ever been to Chicken Alaska or perhaps Accident Maryland? Why would you name a town Accident? Have you ever heard of Cut and Shoot Texas, or how about Hazard, Nebraska, it made me wonder why they named the towns these names? There is Hell, Michigan that sounds so bad, and where are you from? Here is a list of unusual Colorado City names that make you go hmmm. Have you heard of No Name, Colorado apparently because there is a canyon named Canyon and No Name Creek, it would only seem fitting to have a No Name, Colorado. According to legend, No Name, Colorado received its name after interstate 70 was constructed, and the planners wrote no name for exit 119 and it stuck. How about Last Chance, Colorado have you ever wondered how it got Last Chance Colorado got its name? According to Wikipedia, it was the last place to obtain fuel and provisions for many miles. You can find Last Chance, Colorado at the intersection of U.S Highway 36 and state highway 71. Hygiene, Colorado got its name from the local sanitarium back in the 1800's where patients were recovering from tuberculosis. Apparently, people came from all over for a cure because of the sunshine, air, low humidity, and high altitude. In those days, they thought they had a cure for TB if you sat outside no matter the conditions for 10 hours you would be cured of Tuberculosis. The town of Crook Colorado was named after Major George Crook and participated in many battles and expeditions. Hasty, Colorado was named after a pioneer settler Lon Hasty. According to the U.S Census, there are 110 homes in Hasty, Colorado.